Maybe the Service Type is not turned on the 200? 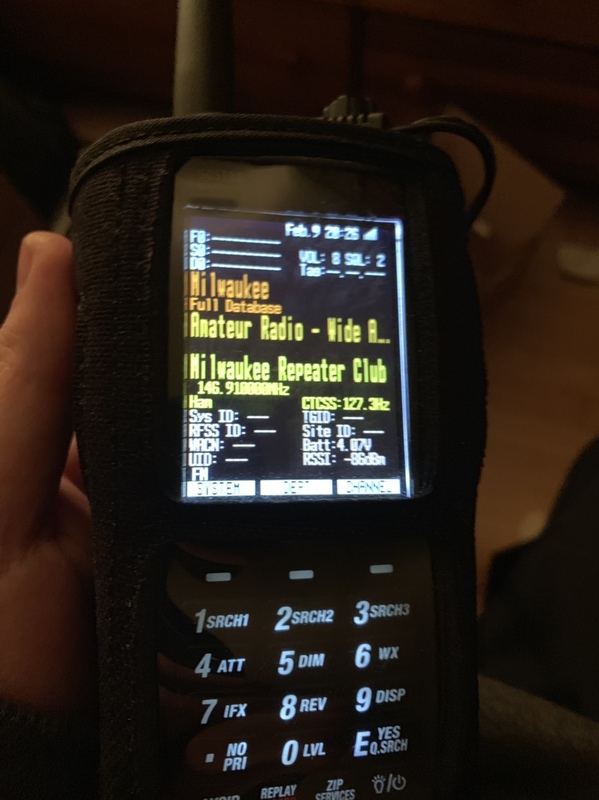 Can you hold the SDS200 on that channel, push enter and disable CTCSS by setting it to search or off, and turn down squelch to zero and listen when the repeater is active for any kind of signal. Try moving the scanner as just a few inches could make a big difference when using an antenna inside a room with all the reflections going on. Make sure all service types is turned on for a test, set the global filter to off for the test, be sure your ctcss tone is correct. If it still does not receive it I would try another signal with a ctcss tone if the 100 gets it and the 200 dont side by side and work it from there, at least you can compare, if you are a ham and have several handhelds you can goto a simplex freq setup a ctcss tone on all sets and transmit a test message to make sure the sds200 ctcss tones are working right and troubleshoot from there. Also I see your 100 signal is -86db play with the filters on the 200 and see what the rssi shows when the 100 gets a signal on it. what does the global filter do? mine was set to normal on my 200 and i just sent it to OFF. i could read the manual, but i just got the scanner and have not delved into that yet. put an RS 800 antenna on the 200 using an elbow adapter. seems to do better than the stock telescoping whip on p25 systems here. anyone else experiment with the antenna on either the 100 or 200? I have 3 of them - Remtronix - and use them on SDS100 and TRX-1 with great results monitoring my Ohio MARCS digital P25 Phase I simulcast system. Great antenna that sells by various names.